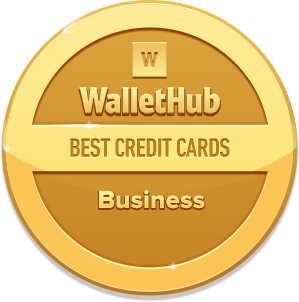 WalletHub makes it easy to find the best business credit card for you. Business credit cards are great for earning rewards in key spending categories, such as office supplies and telecommunication services. 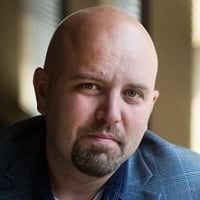 They also help track company expenses and let you give employees cards with custom spending limits (some offers are from WalletHub partners). You’ll even earn rewards on employees’ purchases. Those are all reasons why small business credit cards are ideal for purchases that you’ll pay for in full by the end of the month. But they aren’t so great for financing. Because the Credit CARD Act only applies to consumer credit cards, business cards are subject to arbitrary interest rate increases. That’s why we generally recommend a 0% consumer credit card for your company’s financing needs. 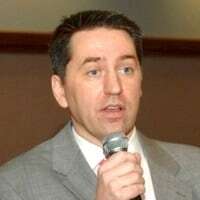 It’s also why we included both consumer and business credit card offers below. If you would like a recommendation, just check out WalletHub’s picks for the most popular categories, selected from 1,000+ offers. What are the best business credit cards right now? 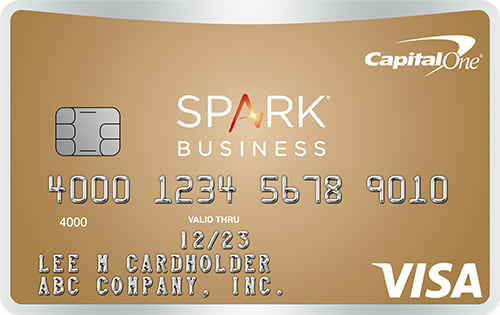 The best business credit card is the Capital One® Spark® Cash for Business card because it offers $500 initial bonus, gives unlimited 2% cash back on all purchases and waives its $95 annual fee the first year. It also has a $0 foreign transaction fee. You can get approved with good personal credit or better. Still, there are a lot of options. And the best small business credit card for one company is probably going to be very different than the best card for another. It all depends on the company’s spending and payment habits as well as the owner’s personal credit standing. You won’t get approved for a business credit card that requires excellent credit if your personal credit is just fair, for example. And that’s true even if your business has a stellar payment history. Plus, you probably don’t want hotel or airline rewards, for instance, if you hardly ever travel for business. 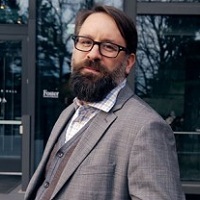 With that in mind, WalletHub’s editors compared 1,000+ credit cards based on their minimum credit requirements and major features to find the best offers for the most common business needs. Here are the top small business credit card offers available now. The key to picking the right business credit card is to know yourself. That includes knowing what types of purchases you’re likely to make, whether you’ll pay your bill in full each month, and what features you need most. You also need to know your personal credit standing. 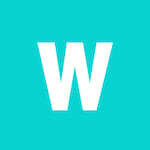 If you don’t, you can check your latest credit score for free on WalletHub. For more information on the top offers you have to choose from, make sure to check out WalletHub’s complete review of the year’s best business credit cards. 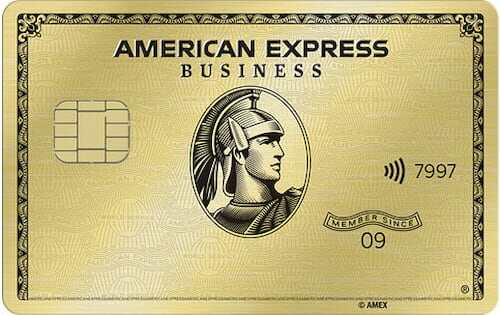 The best Chase business credit card is the Chase Ink Business Preferred card because it offers a bonus worth $1,000 for spending $5,000 in the first 3 months. Ink Business Preferred also gives 3 points per $1 spent on travel and select business purchases, plus 1 point per $1 on everything else. Preferred provides free employee cards, too, and has a $0 foreign transaction fee. The annual fee is $95. 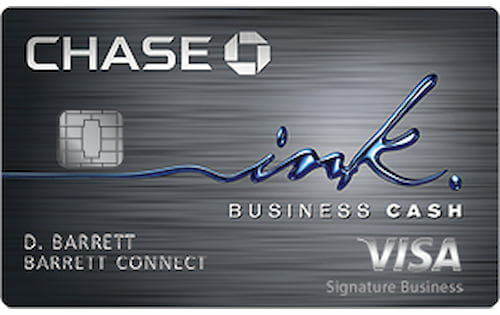 The Chase Ink Business Cash card offers the best ongoing cash back bonuses of any Chase business credit card. It has a $500 bonus for spending $3,000 in the first 3 months. And it gives 5% cash back on the first $25,000 spent per year at office supply stores and on internet/cable/phone services. Plus, it offers 2% back on the first $25,000 spent at gas stations and restaurants, along with 1% on everything else. There’s a $99 annual fee. When it comes to earning cash rewards at a high, flat rate, Ink Business Unlimited comes out on top. It offers unlimited 1.5% cash back on all purchases. And it has the same bonus that Ink Business Cash does. The annual fee is $99. For customers who are frequent flyers, the United MileagePlus Explorer Business card is the best Chase business credit card. It has a $0 foreign transaction fee. It also offers 50,000 miles for spending $3,000 in the first 3 months. And it gives 10,000 bonus miles each year for spending $25,000 or more. It also offers 2 miles per $1 not just on United purchases but also at restaurants, gas stations and office supply stores. There’s 1 mile per $1 on all other purchases. The card provides 2 one-time United Club passes after account opening and each anniversary. And cardholders always get a free first checked bag and priority boarding on United flights. 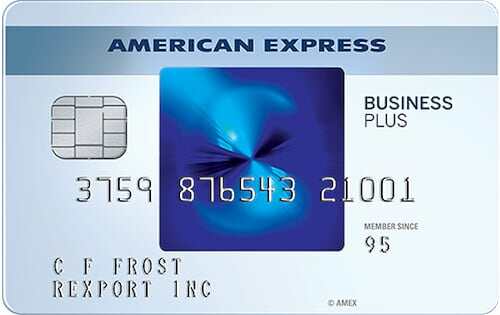 The card waives its $95 annual fee the first year. The Marriott Premier Plus Business card is best for hotels. It offers 6 points per $1 at Marriott, Ritz Carlton and Starwood Preferred Guest locations. It also gives 4 points per $1 spent at restaurants, gas stations, shipping and internet/cable/phone service. And it offers 75,000 bonus points for spending $3,000 in the first 3 months. Lastly, it gives a free night each account anniversary. The Marriot card has a $99 annual fee. 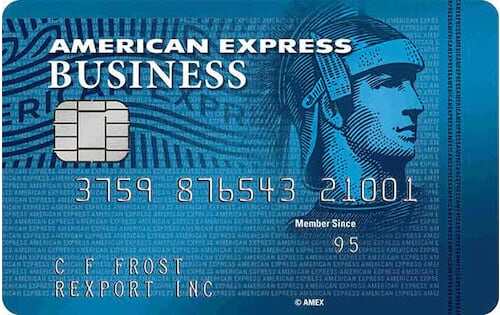 All Chase business credit cards offer employee cards at no additional cost. A Barclays business credit card is best for frequent business travelers. That’s because all three Barclays business cards offered in the U.S. are co-branded with a specific airline. You can choose from American Airlines, Hawaiian Airlines and JetBlue, as of February 2019. If you want maximum travel rewards but don’t want to be tied to a single airline, consider a general-purpose travel rewards card. Some allow you to redeem points or miles for statement credits toward any travel purchase, and you’ll have more choices when booking flights. 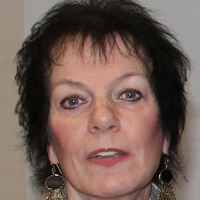 Unfortunately, there aren't that many credit cards you can get without a hard inquiry. Some store cards allow this, but that's about it. Your credit score also places you in the "Fair" credit tier, which also limits your business credit card options. Still, you can check out our Editors' Top Picks of the best business credit cards here. 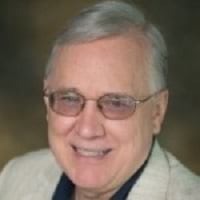 You might also be interested in WalletHub's credit building guide, which will help you on your road to excellent credit. The best Citizens Bank business credit card is the Everyday Points Business Mastercard because it has a $0 annual fee and offers 2 points per $1 on all purchases. The Citizens Bank Everyday Points card also has a 20,000-point bonus for spending $5,000 in the first 90 days. The only other Citizens Bank business credit card is the Business Platinum Mastercard, which has no rewards. However, it also has a $0 annual fee and the potential for a lower APR than the Everyday Points card. Its APR range is 10.24% - 21.24% (V), compared to 13.24% - 23.24% (V) for Everyday Points. Best for Rewards: Citizens Bank Everyday Points Business Mastercard. Best for a Lower APR: Citizens Bank Business Platinum Mastercard. Annual fees: $0 for both Citizens Bank business cards. Employee card cost: $0 for both Citizens Bank business cards. Credit required: Excellent (750+ credit score) for both Citizens Bank business cards. Initial bonus: 20,000 points from the Everyday Points card. None from the Platinum Mastercard. Ongoing rewards: 2 points per $1 from the Everyday Points card. None from the Platinum Mastercard. Intro APR: 0% for 6 months on purchases with the Everyday Points card. 0% for 6 months on purchases with the Platinum Mastercard. Regular APR: 13.24% - 23.24% (V) on the Everyday Points card. 10.24% - 21.24% (V) on the Platinum Mastercard. While both of the Citizens Bank business credit cards have decent terms, they’re not the best offers on the market. There are lots of really rewarding business credit cards available right now. 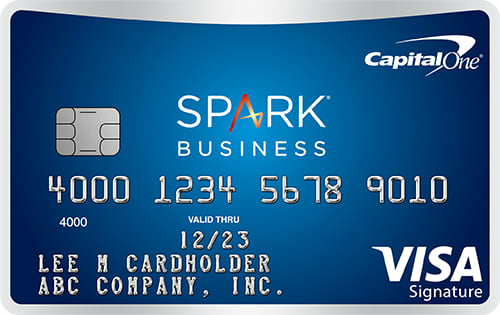 For example, the Capital One Spark Cash for Business card offers unlimited 2% cash back on all purchases as well as up to $2,000 in initial bonuses. 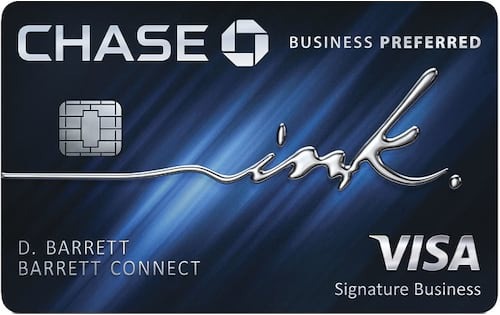 And the Chase Ink Business Preferred card has a sign-up bonus worth $1,000 in travel and gives up to 3 points per $1 on purchases. A business credit card is among the most important tools in a small business owner’s payment arsenal. Yet business plastic is too often misunderstood and misused as a result. In order to help small business owners maximize the perks of credit and ultimately beat long odds in achieving lasting business success, we posed the following question to a panel of leading business management experts. You can check out their bios and responses below. How important are credit cards to small business owners? What are the best ways to use a business credit card? Why use a business credit card for business instead of a personal card? 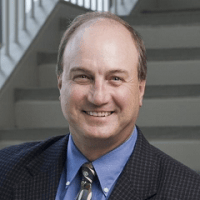 Does a company need to be incorporated to get a business credit card? Why don't more banks and credit unions offer business credit cards? All things considered, are business credit cards better than personal credit cards?